New Zealand is currently rated as one of the world’s leading tourist destinations, and for very good reasons. The country is diverse in geography, scenery and climate, and is easily experienced without traveling large distances. For those with a love of the outdoors and hands on adventure, this is the place for you! To a yacht crew there are many things to enjoy here with the frequent regattas, Millennium Cups, and crew events. Great days off can be spent in the immediate vicinity of Auckland, or a short flight away is world class skiing or adventure tourism that you will remember for a lifetime. New Zealand looks small on the charts but you will be surprised by the diversity that is compressed into the country and welcoming nature of the inhabitants. Those who have ventured to our beautiful country usually can’t wait to return. Take a trip back in time to when roads were unsealed and drivers acknowledged one another. There are no banks, no traffic lights and just a few shops. Great Barrier Island is the land that time forgot, offering stunning anchorages surrounded by pristine native bush and national parks. Between Abel Tasman National Park and Marlborough Sounds, this region at the top of South Island is one of the sunniest spots in NZ with golden sandy beaches, spectacular and tranquil anchorages, world-famous walking tracks and friendly local seals and dolphins. Marlborough is famous for green-lipped mussels, salmon and of course wine. Waiheke Island, just 10nm from Auckland, is well known for its many vineyards, pretty anchorages, sandy beaches and some great restaurants. As well as wine tasting and luxury accommodation, visitors can enjoy horse riding, zip-lining, hiking and fishing. 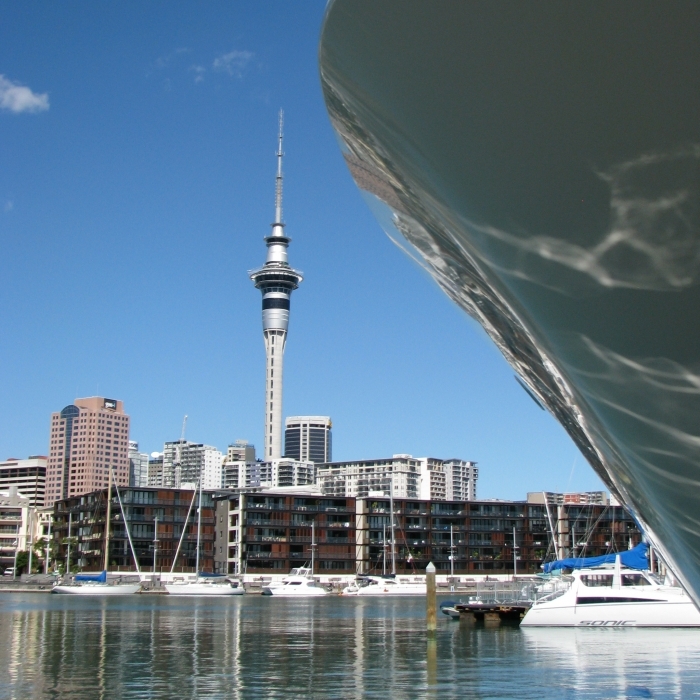 New Zealand’s north is the perfect cruising ground with sheltered anchorages in any weather. The Bay of Islands is home to 144 islands, a myriad of beaches, bays and inlets. Helicopter trips, wreck diving, fishing for snapper, quad biking on 90 Mile beach and a visit to the ancient Kauri forests are all favourite activities. Fiordland offers the stunning scenery with deep sea sounds, towering snow-capped mountains and endless waterfalls. Each of the sounds has its own character from glaciers and steep sides of Milford Sound, all the way to the gentle hills of Preservation Inlet at the south. Fur seals, dolphins and whales abound. New Zealand offers some spectacular mountain and geothermal scenery. Visit a high-country sheep station in the Southern Alps, geothermal pools, geysers and experience Maori culture in Rotorua. Have a flight and guided tour of White Island’s active volcano, fly fish, and take in the scenery of Lake Taupo and Huka Falls.